Every two channel distance from center to center is 1000mm. 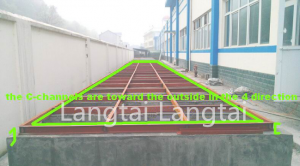 Firstly weld the 5m length and 4m width to a rectangle frame which the frame size isÂ 5mÃ—4m,Â and then weld the inner c-channelÂ steel in order to make it to be a grid which size is 1mÃ—1m from center to center. Please make sure the channel surface is plain and welding point is smooth. After finish the welding c-channel steel base, please put it on the concrete base. Attention : Upper welding face keep smooth and level . 3. 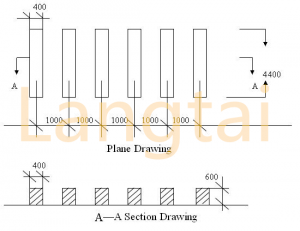 Panel Choose: Different type panel will be used in different position. 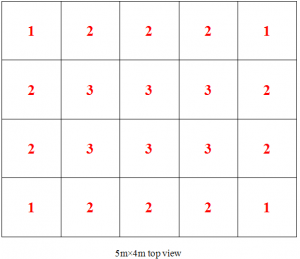 3: HolesÂ onÂ 4Â sidesÂ of 90Â°directionÂ . FirstÂ assembleÂ theÂ bottomÂ panels.Â andÂ thenÂ assembleÂ theÂ sideÂ panels,Â aroundÂ theÂ tank. 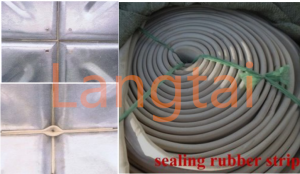 TheÂ panelsÂ areÂ connectedÂ byÂ screwÂ withÂ oneÂ layerÂ ofÂ sealingÂ stripÂ inÂ betweenÂ .Â TwoÂ layersÂ ofÂ sealingÂ tripÂ inÂ crossÂ corner,Â theÂ secondÂ extraÂ layer shouldÂ notÂ beÂ longerÂ thanÂ 100mm.FastenÂ screwsÂ twiceÂ toÂ fourÂ times,Â donâ€™tÂ fastenÂ tooÂ hardÂ atÂ aÂ time.Â Please see the video to install the bottom plates. InstallÂ theÂ sideâ€™sÂ Â panels. FirstlyÂ screwÂ theÂ boltsÂ andÂ nutsÂ toÂ joinÂ theÂ SideÂ 1stÂ plates.Â AndÂ thenÂ screwÂ theÂ boltsÂ andÂ nutsÂ toÂ joinÂ theÂ SideÂ 2ndÂ plates.Â OneÂ byÂ oneÂ untilÂ toÂ theÂ 2thÂ plates. Â Please see the next ! 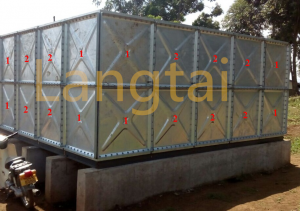 If you are interested in our water tank, Please contact us at any time.